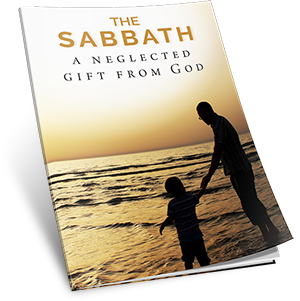 ALLEN, Texas, July 25, 2014 – As an antidote to today’s stressful, 24/7 world, LifeHopeandTruth.com has announced its latest free e-book: The Sabbath: A Neglected Gift From God. A recent survey shows that a quarter of Americans experienced a great deal of stress in the last month, with more than half of these people reporting bad effects on emotional well-being, problems with sleep and difficulty in thinking, concentrating and making decisions (NPR). Getting enough rest and getting relief from the stress are major problems for many people today. “In today’s stressful, nonstop, 24/7 world, couldn’t you use a breather—a chance to refocus on what’s truly important? From the beginning, God designed a day of rest and refreshment as a special blessing for humanity. He made this day—the seventh-day Sabbath—to be a memorial of creation and deliverance, a sign of obedience to God and a type of the coming rule of Jesus Christ on the earth. Jesus said He is Lord of the Sabbath and that it was made for humanity’s benefit. LifeHopeandTruth.com is a public service outreach of the Church of God, a Worldwide Association, which is headquartered in the United States near Dallas, Texas. Its members, who attend congregations around the world in more than 50 countries, provide the financial support for LifeHopeandTruth.com. Comments and inquiries are welcomed and can be directed to http://lifehopeandtruth.com/contact/.